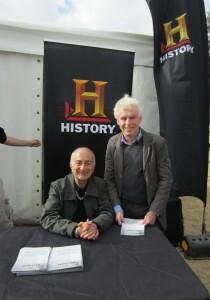 Sir Tony Robinson and Gold Museum Manager/Curator Mr Roger Trudgeon. On Saturday, 22nd March, the Gold Museum was involved in the events surrounding the filming of British actor, historian and TV host Sir Tony Robinson’s new documentary, Tony Robinson’s Tour of Duty. The program highlights the military history of Australia and New Zealand in the twentieth century. At each of the cities on the itinerary, the public is invited to attend an open day, where they can show their war memorabilia and tell their stories on camera. Gold Museum Manager/Curator Roger Trudgeon and Assistant Curator Claire Muir hosted a display of military items from the archives, including a World War I soldier’s helmet, photographs from the Sir Albert Coates collection and personal letters from Ballarat soldiers Joe and Rob Lugg, who both fought in the World War I. 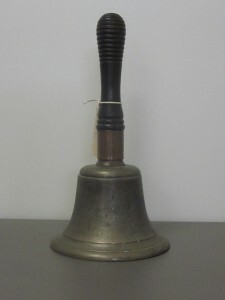 A number of objects from the collections of both the Gold Museum and the Ballarat Historical Society were also used in filming part of the program. These included the hoof of Ballarat Bob, a wedding dress that was worn by seven women during the years of World War II, and a bell that was borrowed from the Ballarat Railway Station and was taken through the African Campaign and the siege of Tobruk. Of course, it is not certain that all of these stories will end up in the final cut of the film, but it is nevertheless a wonderful opportunity to share them with the public. The completed program is due to air on the History Channel on Foxtel in 2015. Ballarat Historical Society member Mike Cuttle showing the bell to Sir Tony Robinson. 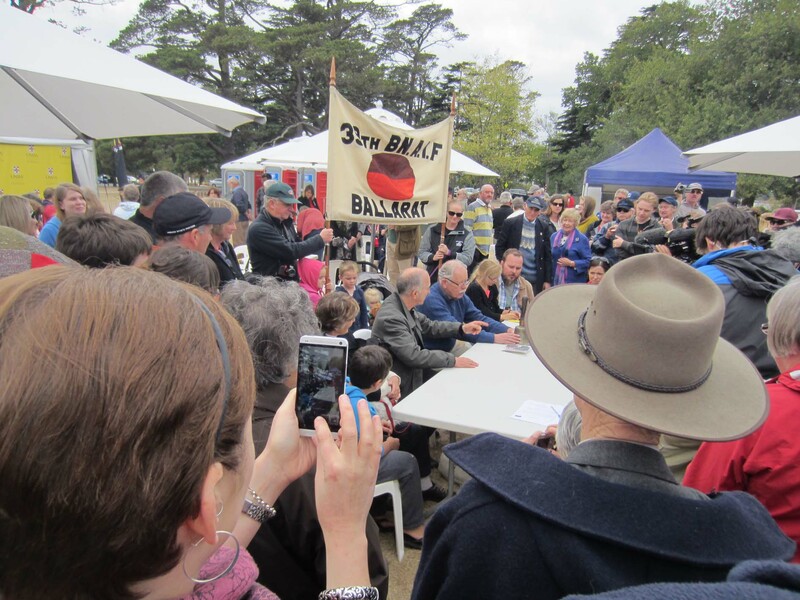 What a great way to shine a light on the fabulous collections we have in Ballarat. Thanks for your comment, Erin. It is an excellent opportunity for local people to become involved with their own history. 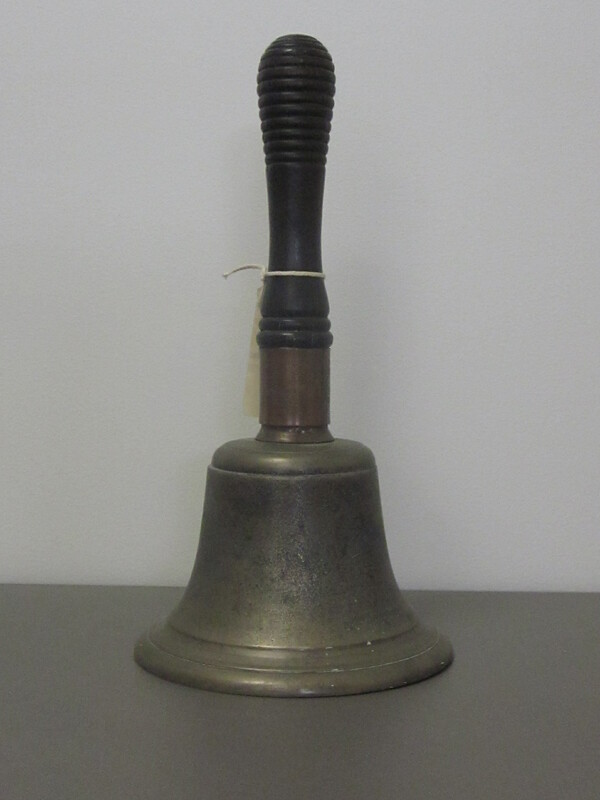 The Gold Museum is pleased to be a part of preserving these objects and stories for future generations. sounds like a Great Enterprise, with Gold Museum Ballarat once more to the fore with appropriate collection items. what a terrific community resource it is ! The interest this program generated also clearly demonstrates the impact of and interest in both wars; Ballarat in particular seems to feel especially involved. Leave a reply on "Tony Robinson’s Tour of Duty"